Forever in the shadow of the perennial homecoming queen, Chardonnay, the varietal that some people call sauvignon blanc has struggled with identity issues even after Robert Mondavi changed its name to Fume’Blanc decades ago, intending to boost its image and its sales. Adding to its mysterious persona, consumers are never certain what sauvignon blanc will show up. As with many varietals, it is heavily influenced by the soils within the region it is grown and how it is made. Originating from Bordeaux in France, Sauvignon Blanc also thrives in Australia, South America, New Zealand and South Africa, each with diverse soil. The famous wines from the Pouilly Fume’ and Sancerre appellations in the Loire Valley, southwest of Paris and the Sauternes region of Bordeaux use the sauvignon blanc grape exclusively. Regionally, it excels in western Australia, the Marlborough appellation of New Zealand and in California, primarily Sonoma County, Napa Valley and the Santa Ynez Valley, north of Santa Barbara. The two personas of sauvignon blanc are nearly polar opposites of each other. There is the grassy, “herbaceous”, more intense version opposed to the rich, barrel-fermented rendition full of creamy melon and tropical fruits. Both enjoy the passion of many wine consumers. Producers in many of the global appellations have found that blending sauvignon blanc with the heavily textured semillon grape creates a more full-bodied, rich wine. 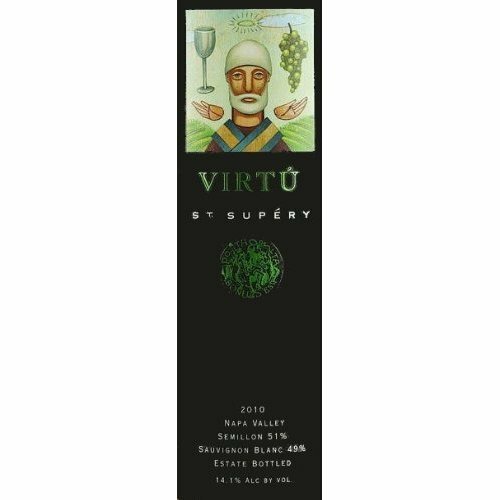 An excellent example of this blend is the St. Supery Estate “Virtu” Napa Valley ($30) featuring half from each varietal. With two-thirds of the grapes fermented in French oak, the remainder in stainless steel, “Virtu” combines crisp aromas and flavors of lemon zest and grapefruit with the creamy, toasted influences. The 2010 vintage is sold out at the winery, but most likely can be found in some outlets or on the Internet. sauvignon/fume’ blanc, unlike chardonnay, can easily stand up to spicy and more flavorful savory foods. Powerful flavors like cilantro, dill, garlic, lemon, lime, red bell peppers and others are often suitably paired with the versatile grape. Sauvignon/Fume’ Blanc is also very characteristic to its region. Soils, the use (and non-use) of oak and aging produces very different traits within the French regions, both differing from California and New Zealand. If you are serious about this varietal, I highly recommend the self-proclaimed, “Fiddlehead Experiment.” Kathy Joseph, owner/winemaker of Fiddlehead Cellars in Santa Barbara County can thank me later for the plug, but this is actually the means by which I began to explore the potential of sauvignon blanc. Fiddlehead Cellars has been striving to produce excellent Pinot Noir and expand the capabilities of sauvignon blanc for over a decade. They produce three very different releases of the latter, describing them as indicative of those from the Loire Valley, Bordeaux and New Zealand, all from vineyards in eastern Santa Ynez Valley. 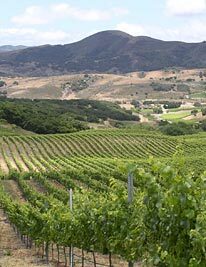 The Happy Canyon of Santa Barbara AVA, known for warm days and cool nights, has become the home of great sauvignon blanc vineyards, including the “Vogelzang Vineyard” that supply grapes for several labels, including the Fiddlehead Cellars trio. 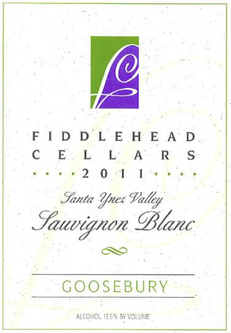 The Fiddlehead Cellars Sauvignon Blanc “Happy Canyon” ($25), named for the appellation, is a full-bodied, rich wine with nice, crisp tropical fruit aroma and flavors, indicative of those produced in the Loire Valley. The use of stainless steel, new and neutral French oak creates a wonderful balance of crispness with silky texture. In Bordeaux-style, the Fiddlehead Cellars Sauvignon Blanc “Hunnysuckle” ($34)is that richly textured wine that one can enjoy with or without food. Aged for ten months in the barrel before additional years in the bottle, patience is rewarded with elegance and grace. One of my best food pairing experiences ever involved sea scallops in a creamy Meyer lemon sauce with a glass of Fiddlehead Cellars Sauvignon Blanc “Goosebury” ($34), representative of those produced in New Zealand. With no oak or any other influences, the “Goosebury” is crisp, herbal with mineral hints and, in my view, one of two California sauvignon blanc that I would select when choosing a wine to pair with a special meal. The “Fiddlehead Experiment” allows one to explore the world of this agile grape and solve many of its mysteries. with aromas of apples, layered flavors of stone and tropical fruits and a nice acidity on the finish. The following are my additional recommended sauvignon blanc varietal wines, varying in price range, most available locally, all of high quality from various regions of the world. 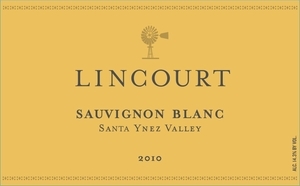 Lincourt Sauvignon Blanc Santa Ynez Valley ($18): Lincourt is a small boutique winery near the small village of Los Olivos, outside of Solvang. Non-herbal, there are nice hints of tropical fruit and melon throughout. This wine is often reviewed as an excellent value wine, but may be difficult to find outside of the winery. Ferrari-Carano Fume’Blanc ($13): A popular release from Sonoma County for decades, a nice balance of citrus and tropical fruit, balanced and multi-layered. Brancott Estate Sauvignon Blanc Marlborough NZ ($15): Very accessible, processing the typical minerality from New Zealand and nice citrus flavors. Kim Crawford Sauvignon Blanc Marlborough NZ ($15): Another popular wine from New Zealand, the KC expresses intense bouquet with tropical fruit, melon flavors and nice acidity on the finish. influences and soft melon flavors. A good value for a wine that is not always available locally. 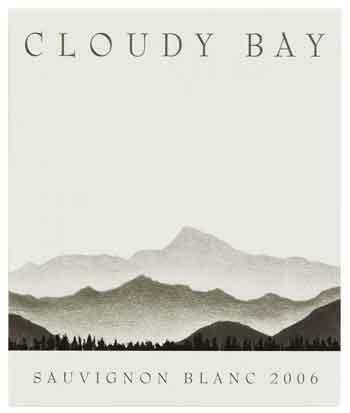 Cloudy Bay Sauvignon Blanc ($27)One of the most highly rated Sauvignon Blanc in the world for the past few years, it was rewarded 92 pts. from Wine Spectator, ranked only below Merry Edwards among the varietal. Very crisp and fruit forward, the flavors are balanced and abundant. Hopefully, we have unveiled some of the mysteries and myths about sauvignon blanc. For many, it is a softer, mellower alternative to chardonnay, for others a great food friendly wine. However, as with all the world’s finest varietals, further exploration of sauvignon blanc reveals the rich diversity and distinctive characteristics of a global powerhouse. This entry was posted on Wednesday, August 15th, 2012 at 12:32 am	and posted in Wine. You can follow any responses to this entry through the RSS 2.0 feed.